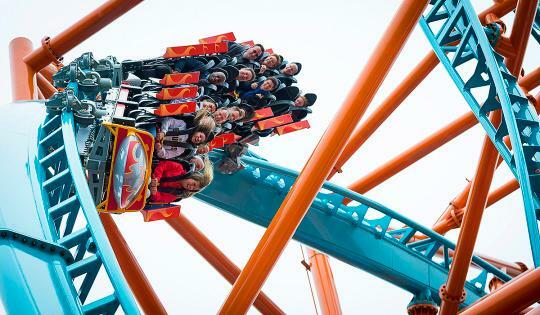 How many coasters will you ride this summer? Melinda Crow—We have a national love affair with water slides, bumper cars, and screaming rollercoasters. There is nothing that completes our summer travel agenda quite like a visit to an amusement park. Whether you like tiny home-grown parks or gargantuan theme parks, Yahoo Travel has got you covered. 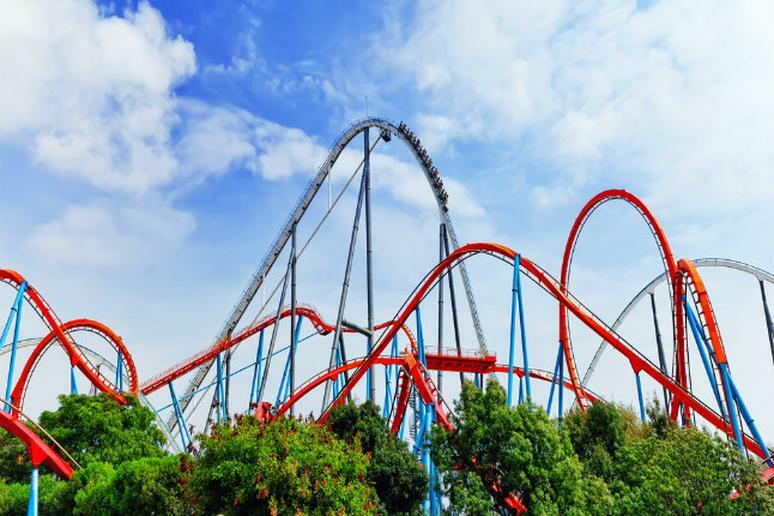 We went in search of the most amazing amusement parks the country has to offer in each state. Here is our list to keep you park hopping from coaster to coaster. Some days you just need a splash. Waterville USA fits the bill, providing a nice break from the beach in Gulf Shores. H2Oasis Indoor Waterpark rocks the amusement park world in Anchorage. Jump in and feel downright tropical — any time of year. Castles and Coasters has coasters, a log flume, bumper cars, and mini-golf. If that isn’t enough, take a spin on the go-cart track. Magic Springs and Crystal Falls has water and thrills — our favorite combination. Splash, float, slide, or ride. The choice is yours. 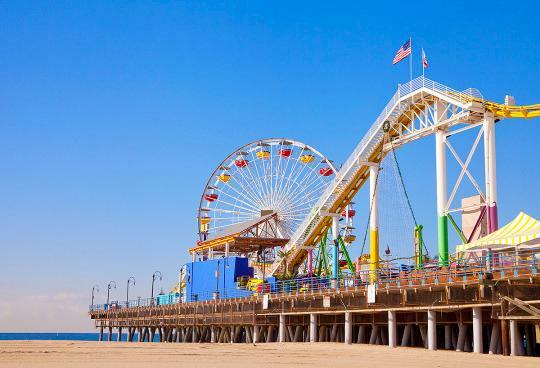 In a state so packed with great amusement parks, Pacific Park on the Santa Monica Pier stands out for fun, atmosphere, and the sheer joy of playing on this famous landmark. Elitch Gardens Theme and Water Park has a six-story water slide named “Slidezilla.” There’s also enough entertainment to keep you busy for days, including movies, concerts, and five coasters. Quassy Amusement Park and Waterpark is small, coming in at only 20 acres. But it is packed with fun, including the award-winning “Wooden Warrior.” The park was once a stop on the trolley between Waterbury and Woodbury, making it a historical treasure, in addition to a fun one. Funland Rehoboth Beach is a great complement to the Rehoboth seashore. Classic rides, midway games, and a “Haunted Mansion.” What more could you ask for? The list simply would not be complete without the park of parks: Walt Disney World. Our Disney advice is to plan for a multi-day adventure and include the water parks in your summer Disney adventure. Stone Mountain Park is part history, part outdoor adventure, and part theme park. Ride the summit tram, walk to the top of the mountain, then enjoy an incredible laser and fireworks show at the end of the day. And did we mention the campground and 18-hole golf course? Way more than an amusement park. Wet n Wild puts a tropical twist on its water park here, making it one of Hawaii’s top-rated attractions. Slide your way through lush palms and learn to surf with ease on the Flowrider. Silverwood Theme Park is another combo park with water and thrills. The largest theme park in the Northwest, it has 65 rides, including six coasters. Six Flags Great America has an old-fashioned small-town amusement park built right in. But don’t let the tame rides in the Hometown Square section of the park fool you; this park is also home to “Goliath,” the fastest and steepest wooden coaster in the country. HHoliday World & Splashin’ Safari is family owned and operated, but proves it can compete with the big boys with “The Voyage,” the fifth tallest and fastest wooden coaster in the world. And a bonus: there are free soft drinks. Adventureland is a mid-sized park offering 180 acres and more than 100 rides and attractions, including a waterpark. The “Tornado” is one of the country’s top-rated wooden coasters. Schlitterbahn Waterpark opened its Kansas operation in 2009, making it the first non-Texas park owned by the company. 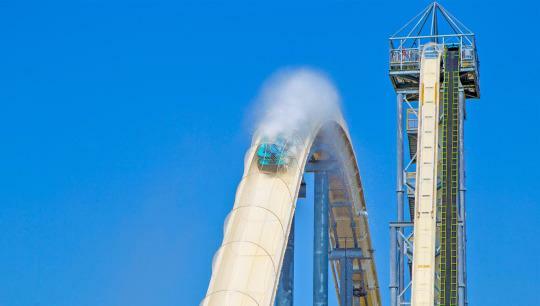 The park is now home to the world’s tallest waterslide — Verrückt, featuring a 168-foot drop! Beech Bend Park brings together the fun of an amusement park with a old-school campground and high-adrenaline auto racing for a one-of-a-kind experience. Throw in a waterpark, and you’ve got the makings of a perfect weekend. Dixie Landin’ and the adjacent Blue Bayou waterpark have a combined total of 47 rides, including “Mambo” the world’s largest aqua loop. There’s plenty to do for the young crowd here, too, including a carousel and a “Polliwogs” pool. From bumper cars and boats to go carts, Funtown Splashtown has plenty to offer. Maine’s only wooden roller coaster and New England’s longest and tallest log flume are here, too. Six Flags America is packed with the usual dose of Six Flags fun. Their newest coaster, “Ragin’ Cajun” is featured in the park’s Mardi Gras section. Unlike some of Six Flags’ water parks, Hurricane Harbor is located within the same park has nas no additional charge for entry. Water Wizz is Cape Cod’s only water park. If you’ve seen the Adam Sandler movie Grown Ups, you’ve seen Water Wizz. 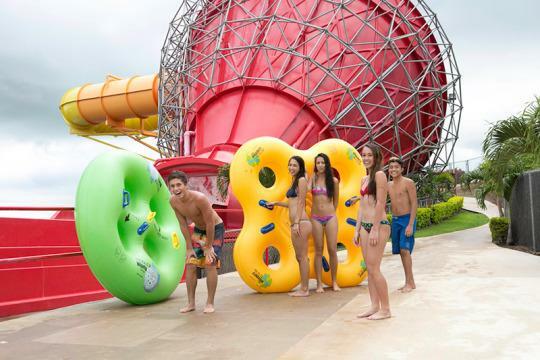 Tube rides, a wave pool, and a kids’ splash zone make it a crazy fun, mid-sized waterpark. Michigan’s Adventure has an exciting selection of 53 rides spread over 250 acres. 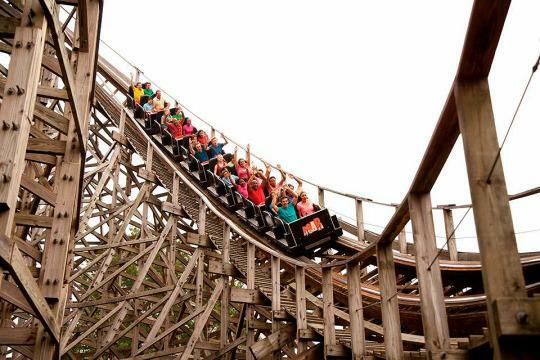 There are seven coasters, including “Shivering Timbers,” the sixth longest wooden coaster in the world. Seven acres of indoor water fun and it’s located in the Mall of America? It doesn’t get much better than that.Nickleodeon Universe features character appearances and kid-friendly rides. Worlds of Fun and the partnering waterpark, Oceans of Fun, have enough to keep a family busy for several days. Big Sky Waterpark is Montana’s largest waterpark, and includes bumper cars and arcade games. If you want to ride a roller coaster in Nebraska, Fun Plex is the place. Besides the coaster, it has classics like a Ferris wheel, go-carts, five-story water slides, and a wave pool. Adventuredome is five acres located next to Circus Circus on the Las Vegas Strip, complete with coasters for all ages. The feature ride is “El Loco,” a brain-bending coaster with speakers built into each seat, giving each rider a custom soundtrack. Canobie Lake Park is another example of a former trolley park turned amusement park. The lakeside setting is idyllic, with plenty of thrills to keep everyone in the fun zone for hours. Clementon Park and Splash World is a mid-sized park with the pizazz of a bigger facility. Of course, it’s hard to ignore the tallest and longest steel coaster in the world at Six Flags Great Adventure in Jackson. Kingda Ka is also the second fastest in the world, rocketing riders to a crazy 128 miles per hour. 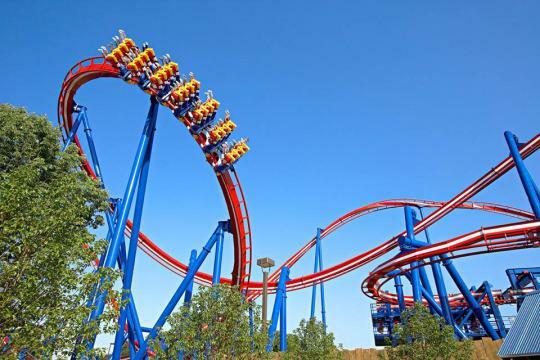 The only faster coaster in the world will cost you a trip to the United Arab Emirates. Cliff’s Amusement Park in Albuquerque is a small park that packs in the fun. 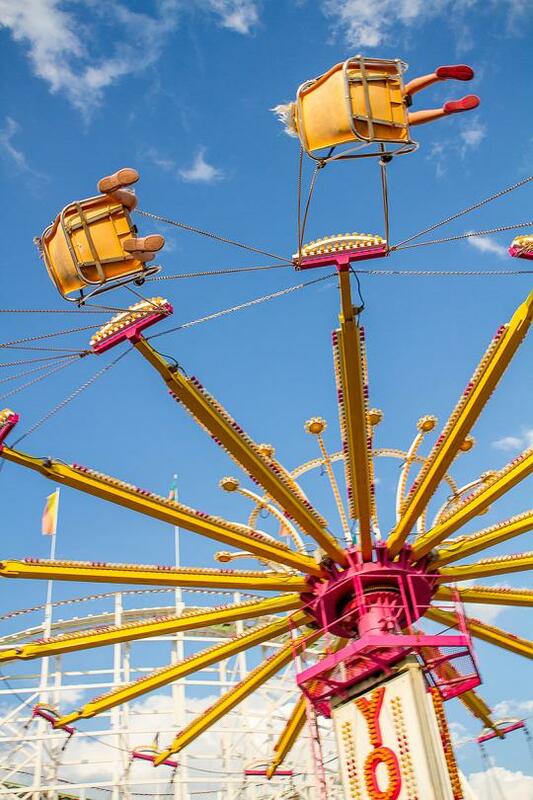 Choose from thrill rides like the “New Mexico Rattler,” a waterpark, and midway games. Coney Island’s famous Deno’s Wonder Wheel Park is a must-do when you visit Coney Island. It stands 15 stories high, carrying 144 passengers at a time. Its iconic design is replicated full-size at Disney’s California Adventure and at Dreamland in Japan. Carowinds is actually on the border between North and South Carolina, near Charlotte. You get 398 acres of fun, including a 20-acre water park. Thunder Road Fargo has batting cages, laser tag, and several ways to get your fast driving fix. 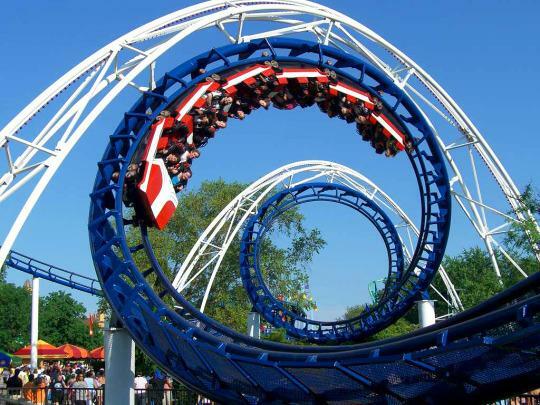 Get your coaster fix at Cedar Point. It has 365 acres of fun with 72 rides—sixteen of them roller coasters. It happens to be the only park in the world with four coasters topping 200 feet in height! 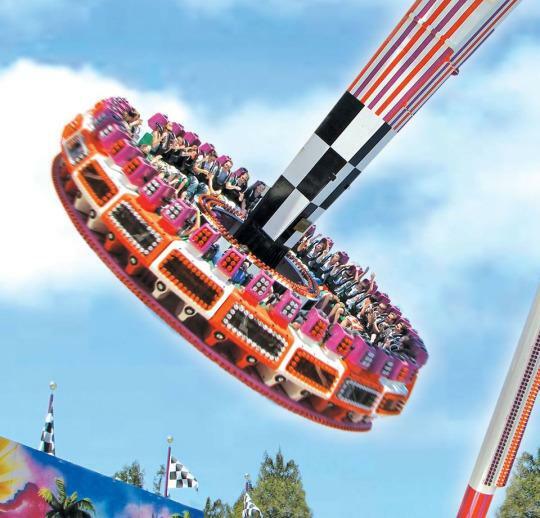 Their newest ride is called “Slingshot.” The name pretty much says it all. Frontier City has 50 rides in a western-themed park. Have a screaming coaster ride, drive a speeding go-cart, and then kick back and enjoy a top-level concert. There simply is no better amusement park for small children than Sesame Place. It encompasses 14 acres of rides, water play, shows, and character interaction sure to please any Cookie Monster fan. AdventureLand Narragansett includes mini golf, go carts, and bumper cars in an old-fashioned fun park. Family Kingdom is a mere 13 acres, but it’s a perfect complement to any stay in Myrtle Beach, plus there’s no admission. You buy tickets to ride the 37 rides that include a figure-eight roller coaster and a log flume. Thunder Road Sioux Falls has golf carts, batting cages, laser tag, and human foosball for a fun twist on amusement parks. The amusement park at Dollywood is only a fraction of the mega entertainment resort complex. Besides coasters and water rides, the park is known for amazing entertainment. This is another state where it’s hard to choose the perfect park to visit. We love SeaWorld Adventure Park because it has thrill rides, a water park, and Sea World. Bring your hiking shoes because this is SeaWorld’s biggest park. In winter Bromley Mountain is a ski resort. Summer brings climbing walls and a 50 mile-per-hour, half-mile-long zip ride. Busch Gardens Williamsburg brings the animal fun this franchise is known for to Virginia, mixing informative and hilarious shows with thrill rides. We also like Kings Dominion for the “Intimidator 305,” the ninth tallest steel coaster in the world. Wild Waves is Washington’s only amusement and water park combination, blending slides, coasters, and classics like bumper cars and carousels. Adventure Park at Harper’s Ferry is an aerial forest-climbing park, including areas specially designed for children ages four to six, making it a low-tech alternative to the typical amusement park. Mount Olympus blends the usual water fun of the Dells with the thrill of coasters, including “Hades 360,” the tenth longest wooden coaster in the world. In a state filled with natural attractions, Star Plunge makes a fitting way to wrap up our list. Don’t expect coasters and thrill rides, but the pools and slides in this natural hot springs park are a fun and relaxing way to enjoy the wide array of amusements our country has to offer. Is This the Newest, Most Ridiculous Air Travel Fee Ever?